I don’t know about you guys, but I’m almost feeling overwhelmed by the multitude of new releases we’ve been subjected to this year. Both mainstream and self-published authors have been showing us flames with their literary pieces. It’s extremely difficult for me as a re-seller – having to share space with shelves of books staring down at me – coercing me into reading them! The levels of restraint it takes to avoid buying my own stock! Thank the heavens for gratuitous sales reps and their freebies. Earlier in the year, a publisher challenged us to a reading marathon on Social Media and naturally I had to join in. That kind of social media hype gets me into a lot of trouble and now my brain is fried! Especially after reading Wilbur Smith’s River God. With 4 more books from the Egyptian series still to go, I can’t just stop now – they’re taunting me. 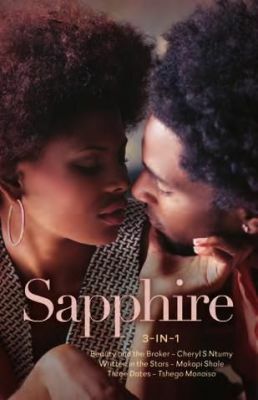 Recently a good friend of mine, Tshego Monaisa tells me Kwela Books have now released an omnibus of hers; Mokopi Shale and Cheryl Ntumy books called Sapphire 3-in-1 (R170). This is but a few books that have come out. One wonders what 2018 will bring! This entry was posted in African Literature Update. Bookmark the permalink.